Rudy Giuliani has earned $14 million since January 2017. How much of that was paid by foreign governments, and what did it get them? Rudy Giuliani, the President’s Cybersecurity Advisor and TV lawyer, has requested that the judge in his divorce proceedings issue a gag order for all parties, according to recent court reporting. 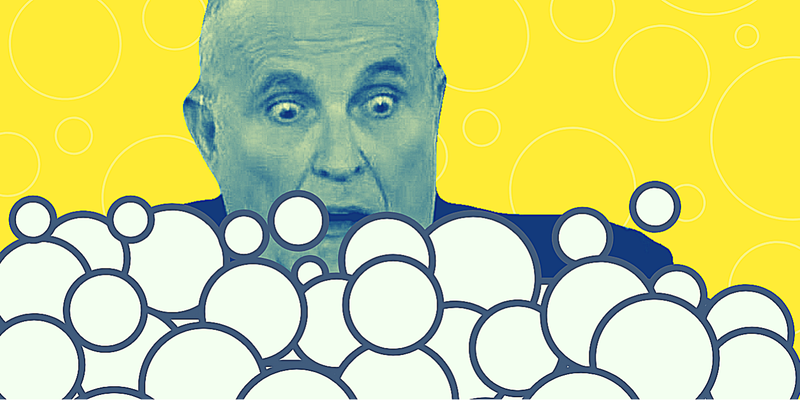 The reason is not difficult to figure out— earlier this year, Giuliani’s soon-to-be ex-wife Judith (Nathan) Giuliani gave a scathing insider account detailing Giuliani’s concerning behavior and activities over the last two years. She also hinted at more to come. So far, the focus has been on the more tabloid-esque details surrounding how that money was spent — revealing a world of lavish indulgence and extravagant purchases. In court, Nathan’s lawyer Bernard Clair claimed that Giuliani has spent “nearly $900,000 since April, while simultaneously cutting (Nathan) off from their credit cards.” Of that, her lawyer said $286,532 had gone “to support his alleged mistress, Maria Rosa Ryan”, $447,938 was spent on “his own enjoyment”, and $165,165 was paid in “travel expenses”. While those spending trails are important for determining the legality of Giuliani’s professional tight rope act, there is another question that must now be urgently answered: Who has paid the President’s Cybersecurity Advisor an accumulated $14 million for international “security consulting” services? When Giuliani was originally tapped for the role of as Trump’s Cybersecurity Advisor in January 2017, he stressed that “the federal government is far behind the private sector companies” and described his task as “to travel the world to find leading experts and introduce them and their ideas to Trump”. Giuliani told Politico at the time that he would “stay in the private sector” and “would never use my access — I’m not a lobbyist. I’m not going to do any lobbying. I just do solutions.” But as time has revealed, the “cyber commission” Giuliani touted would identify “public-private partnerships” to strengthen U.S. cybersecurity appears to have fall apart before it ever started. Instead, Giuliani has spent the majority of his time working with foreign government officials and political groups from Ukraine, Turkey, Israel, MEK, Romania, Armenia, and others. While Giuliani insists he has done “no lobbying” — political activities that would require registration as a Foreign Agent under FARA laws— primary open source evidence lays bare this claim. Specifically, my reports here, here, and here have detailed Giuliani’s potential FARA violations while working on behalf of Ukrainian government officials — activities that consistently appear to interfere with and influence U.S. policy. 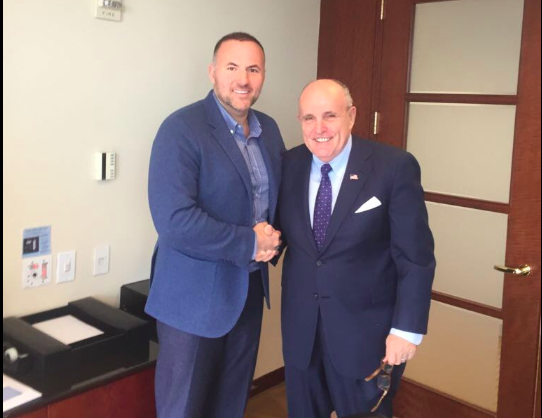 Beginning in May 2017, Giuliani Security and Safety LLC kicked-off a contract with the City of Kharkiv, Ukraine and it’s Mayor, former Party-of-Regions leader Gennady Kernes. 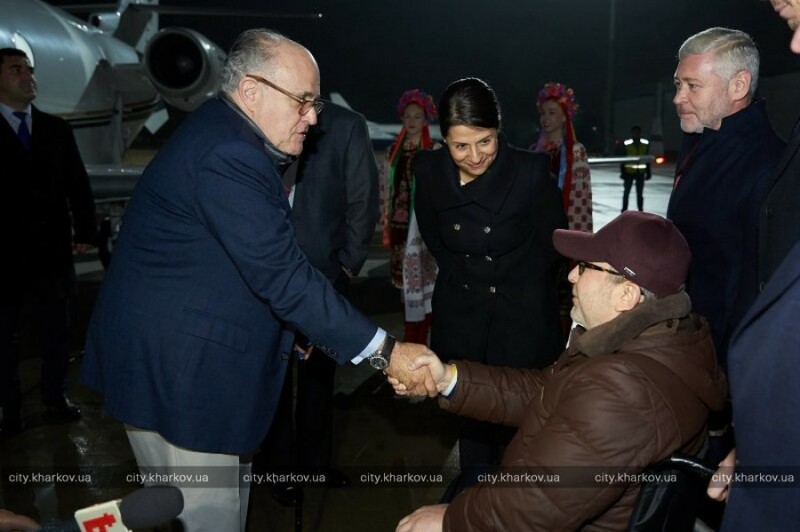 That June, Giuliani traveled to the Ukrainian capital of Kiev. While there, “Trump’s Advisor” gave a talk on international security, met with President Petro Poroshenko, and landed a second private security contract — this time with the City of Kiev, whose Mayor Vitali Klitschko was a former client of Giuliani’s. Although specific terms and dollar amounts for both contracts are unknown, they represent some portion of Giuliani’s $14 million in claimed income. And there’s no reason to assume that he couldn’t. 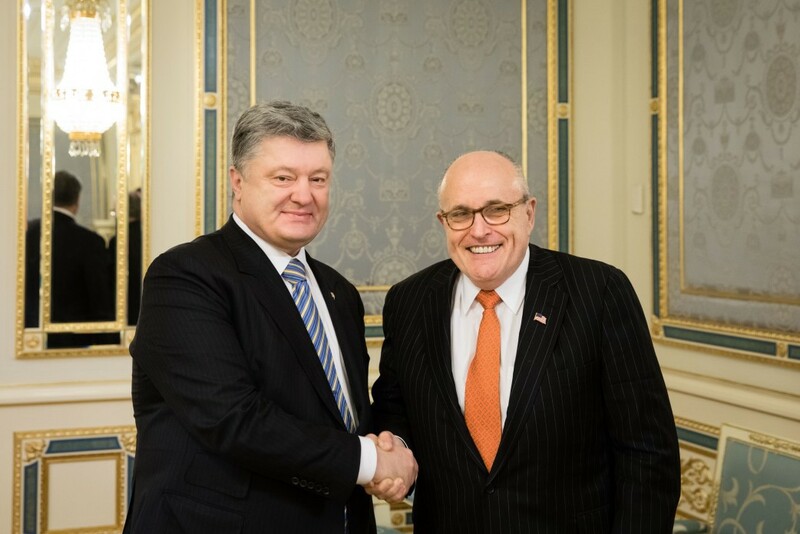 Just this past March, a delegation from Kharkiv traveled to New York City to meet again with Giuliani. 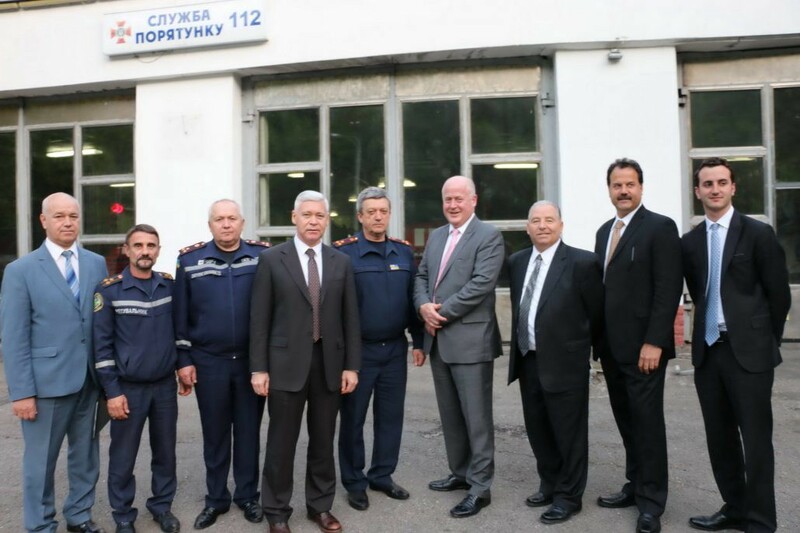 According to the press release issued by Triglobal Strategic Ventures, the Kharkiv delegation was granted a private tour to “study the setup and experience of the Offices for Public Security and Offices for Emergency Management in the states of New York and New Jersey”. One of the stranger aspects of Giuliani’s nebulous foreign dealings is his relationship with Cottage Hospital Administrator Dr. Maria Ryan, with whom Page Six first reported Giuliani was having an affair. 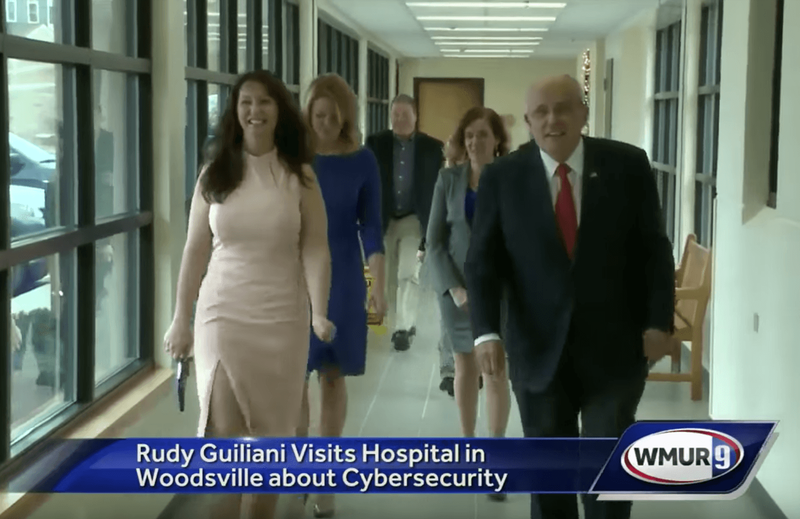 In late March 2018, Giuliani traveled to Ryan’s small 25-bed rural Cottage Hospital to oversee it’s IT team as it transitioned their 20 million patients records to a new AthenaHealth cloud. It is unknown whether Giuliani was paid by AthenaHealth or another party for these services. 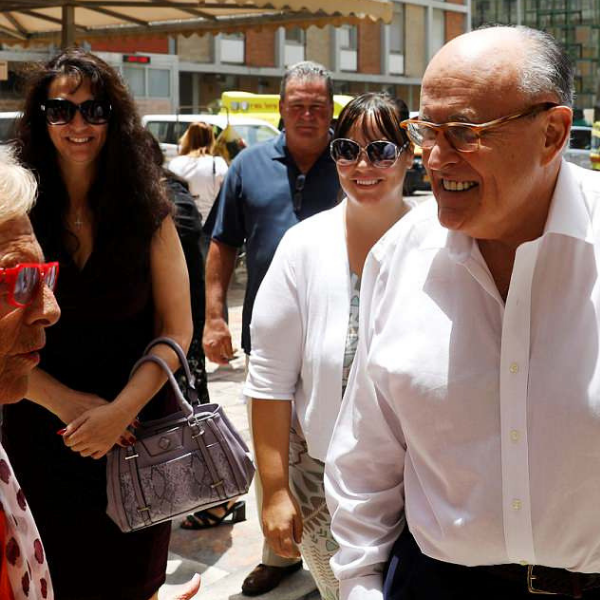 In June, Giuliani was accompanied by both Dr. Ryan and her daughter Vanessa on a trip to Israel, where they toured Hadassah Medical Organization — a hospital that was bailed out from massive debt by Netanyahu in 2015. Last year, Hadassah announced a partnership with Skolkovo Innovation Center in Moscow, headed by Ukrainian-born Russian businessman Viktor Vekselberg. Giuliani has denied the affair with Dr. Ryan, begging the obvious question coming out of Giuliani’s divorce hearing: Why has Rudy Giuliani spent nearly $300,000 since April on “expenses” for Dr. Maria Ryan? Nathan’s lawyer, on the other hand, claimed that “expenses for these people are continuing while (Nathan) has not received any direct support since August of this year.” Clair accused Giuliani of paying a total of $286,000 to Dr. Ryan over a five-month period beginning this April. Complicating the picture (or perhaps clarifying it), Dr. Ryan’s involvement in Iranian politics is well-known among fellow Iran hawks like Giuliani. Traveling to Paris together in June, the pair attended the annual conference of Mujahadeen-e-Kak (MEK), an Iranian opposition-in-exile group. While Nathan insists this is more evidence of an affair, the facts also point to a business relationship yet to be fully understood. Last Wednesday, New York Supreme Court Justice Michael Katz said he would issue a ruling on the gag order request, but urged the two parties to work through their issues privately before seeking third-party discovery. “It is beyond me why this is done publicly… throwing out all [your] dirty laundry for consumption,” Judge Katz said. Perhaps Judith Nathan is trying to shine a light on something the American public needs to see. Rudy Giuliani is a paid agent of the Ukrainian Government.